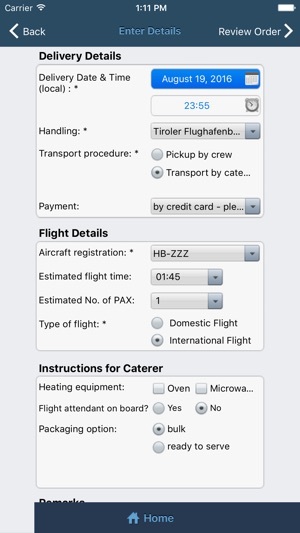 DeliSky - VIP Inflight Catering is a unique iPhone & iPad App developed for the Business and Corporate Aviation industry to order inflight catering at over 300 airports around the world. 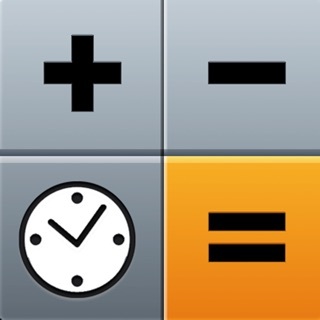 Our App allows you to manage your catering orders with a perfect overview of the costs. All menu prices as well as the total amount of your orders are indicated. 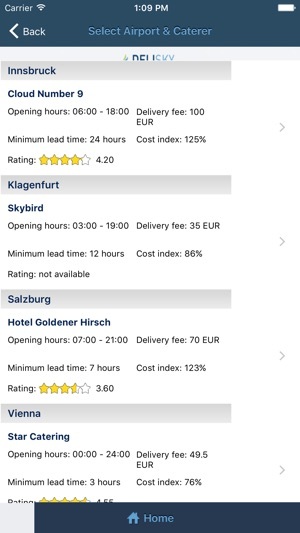 With our app you can create, save and send your catering orders and also add useful information such as packaging instructions, available heating equipment etc. which helps our catering partners to prepare and deliver your catering exactly according to your wishes. The catering is provided by our carefully selected partners such as top quality restaurants, hotels and specialized inflight catering companies. Our quality control system ensures highest quality standards for you and your passengers. 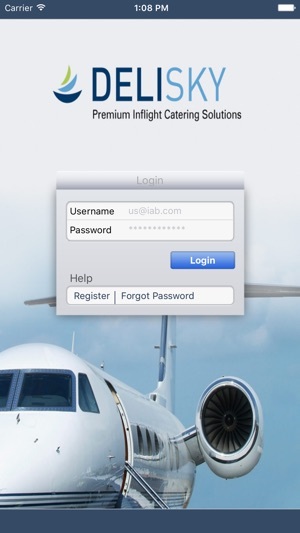 Our App is absolutely free of charge, just register with us on www.delisky.com to obtain your personal login. 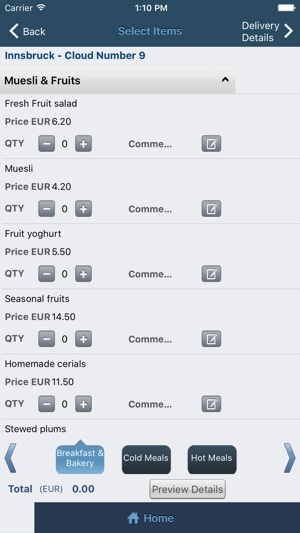 With DeliSky App I can save a lot of time in placing catering orders, all very clear and easy. I prepare the orders with no wifi and send them once connected! Brilliant solution!